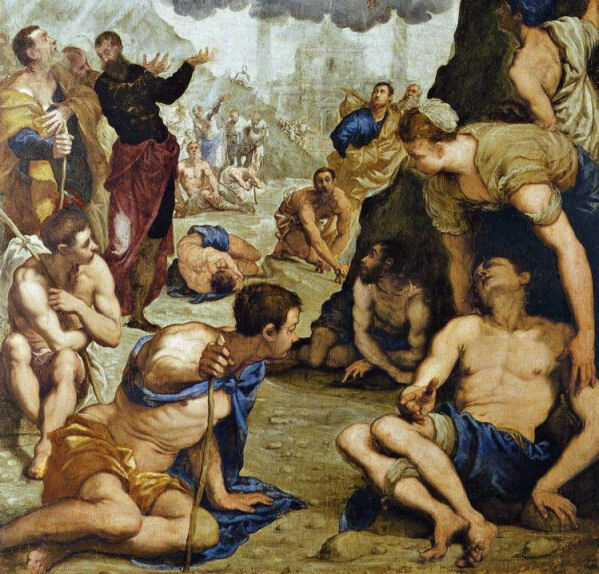 World Famous Paintings 미술 - 세계명화감상 - Saint Augustine Healing the Lame. Detail. c.1549-50. Oil on canvas. 255 x 175 cm. Museo Civico, Pinacoteca di Palazzo Chiericati, Vicenza, Italy.